Dance Biopharm Holdings appoints medical device commercialization expert Matt Jennings as Board Director :: Dance Biopharm Holdings Inc.
SAN FRANCISCO, Oct. 24, 2018 (GLOBE NEWSWIRE) -- Dance Biopharm Holdings, Inc. ("Dance"), a private biotechnology company focused on developing transformational healthcare solutions to treat diabetes and other serious chronic diseases, is pleased to announce that Matt Jennings has been appointed to its board of directors. Matt has more than 30 years of senior leadership experience in the medical device and healthcare industry, including senior executive and director roles. He has had significant general management operating roles in leading healthcare companies, currently serving as CEO and president of Phillips-Medisize, a Molex Company that provides design and manufacturing services for medical devices and diagnostics. Previously, Matt was president of Teleflex Incorporated North American Medical businesses, with 8,000 employees and 12 manufacturing facilities. Prior to his tenure with Teleflex, Jennings was the president and CEO of Bioenterprise Corporation, a bioscience business formation, investment and acceleration company. Jennings began his career with Monsanto Corp. in 1985, and later held numerous corporate leadership positions over a 13-year period with Baxter International and Allegiance Healthcare. Matt is on the board of directors of Cadence Medical, Spinal Elements Corporation and Angus Chemical, which are owned by private equity firms. "We are delighted to have Matt join the Company’s Board of Directors, as he brings a wealth of financial, operations and leadership experience from his distinguished career in the medical device and connected health industry," said Anne Whitaker, CEO of Dance. "Emerging companies play an ever more important role in creating medical product breakthroughs. Dance's founders and their seasoned management team have built a unique advanced insulin delivery platform. I’m excited to have the opportunity to work closely with the Dance team to help bring the promise of this transformative product to patients in need across multiple markets,” said Mr. Jennings. Dance Biopharm Holdings, Inc., is a private company based in the San Francisco Bay Area focused on developing novel inhaled formulations of medicines to treat diabetes and other serious chronic diseases. The company began operations in 2010, founded by Dr. John Patton, who has over 25 years of experience developing inhaled insulin and other inhaled therapies. For more information, please visit http://dancebiopharm.com. Dance 501 is the company’s most advanced clinical candidate being studied for the treatment of type 1 and 2 diabetes. Dance 501 is drug device combination product that includes a novel preservative free formulation of inhaled recombinant human insulin delivered via a proprietary, smart, handheld soft mist device. 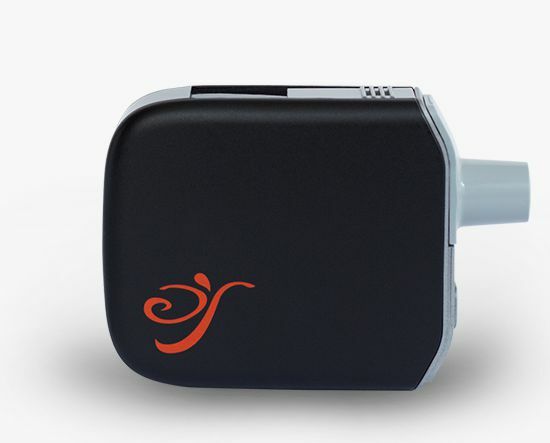 Dance 501 has been designed to enable convenient and confident delivery of insulin into a patient’s lungs in just a few breaths yielding high lung deposition and distribution. Dance plans to initiate a global, phase three clinical development program with Dance 501 in diabetes patients in 2019. Phillips-Medisize, LLC, a Molex company, is an end-to-end provider of innovation, development and manufacturing solutions to the pharmaceutical, diagnostics, medical device market segments. Backed by the combined global resources of Molex and its parent company Koch Industries, Phillips-Medisize’s core advantage is the knowledge of its people to integrate design, molding, electronics, and automation, providing innovative, high-quality manufacturing solutions. For more information, please visit www.phillipsmedisize.com or www.molex.com. Source: Dance Biopharm Holdings Inc.